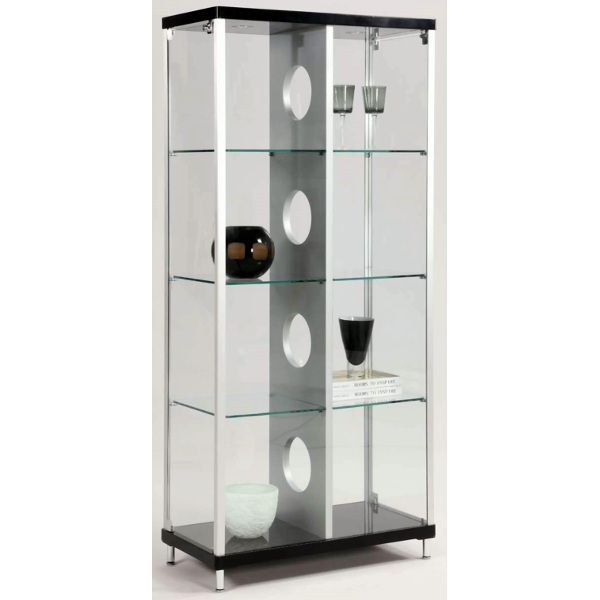 This modern glass curio has two (2) side doors with locks and is available with a silver/black frame finish. Two locking side doors, center divider with UL lighting, tempered glass throughout. Finished in Silver and Black. Chintaly creates some of the most modern and well constructed furniture to accent your home. Sturdy materials and expert craftsmanship are their trademark that makes their furniture unique and affordable.